Valiant Revisited - Did You Know? some familiar faces from the world of music. 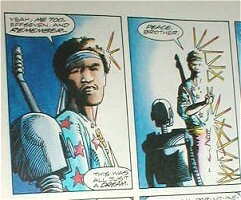 ...but did you also see Jimi Hendrix in Archer & Armstrong #10 and #11? There's even evidence in the Valiant Universe that Elvis Presley didn't die. Instead, he was taken into a Spider Alien spaceship back in 1977.
looks a little too much like John Travolta for it to be a coincidence. In the Unity crossover, the theme "Time Is Not Absolute" was everywhere. Did you know that theme was written on a sheet of paper in Solar #7? That's almost six months before Unity began! 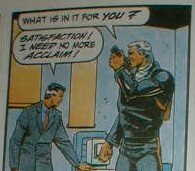 in the pages of X-O Manowar #3 when he said, "I NEED NO MORE ACCLAIM." and Harbinger #11 is the second appearance, right? 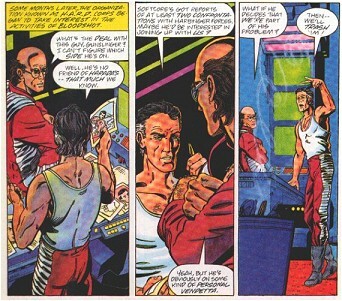 and one month before Harbinger #11.
his first appearance in Shadowman #8, right? he's trying to kill Shadowman...what a surprise. Did you ever notice that Vintage Magnus #1 is even older than Harbinger #1? "Coming in October" above an alternate artwork for the cover of Harbinger #1.
in Dr. Heyward's borrowed car. floor of an unnamed NYC building. Makes you wonder if they visited the WTC! 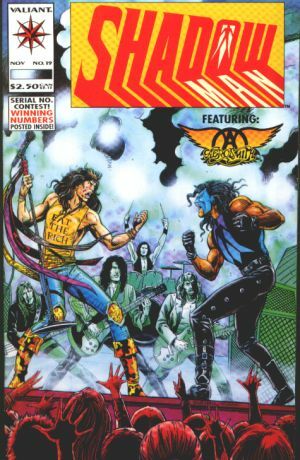 and the cover date for Harbinger #2 is February 1992. Avete saputo che i caratteri valiant possono parlare italiano? stories in the local language for those non-English speaking audiences. What is the deal with that Platinum version of Bloodshot #0? 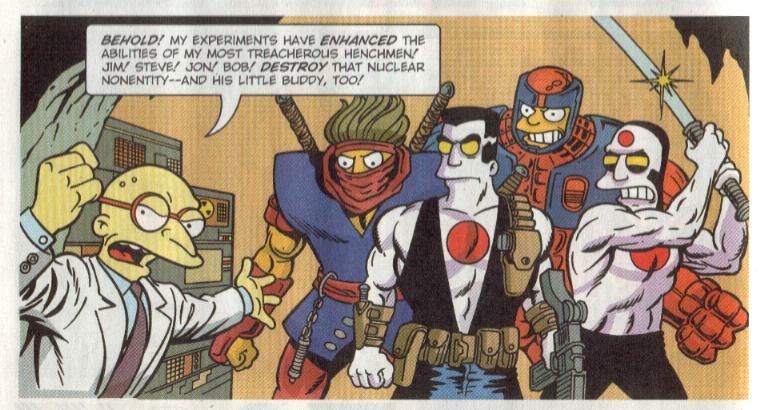 The VALIANT Universe has made unofficial cameos in "other comics". 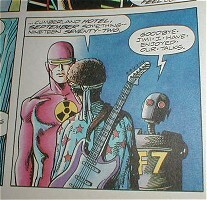 some of the Image heroes were no longer part of the Image Universe. 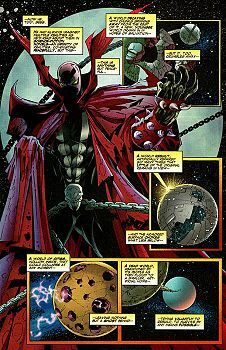 In issue 4 on page 12 Spawn looks down on a long line of comic book earths.
" 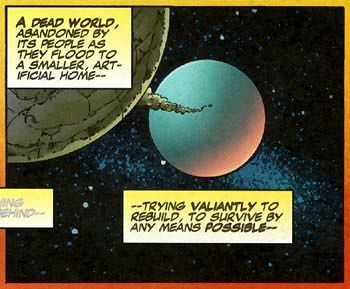 --trying VALIANTLY to rebuild, to survive by any means possible--": the Valiant Universe. 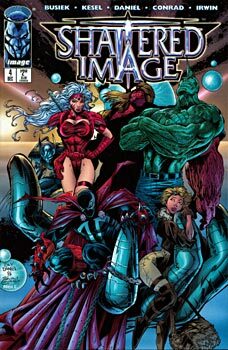 Shattered Image #4 has a coverdate of December 1996. It was published somewhere around the start of VH-2. How did the writer of this book know anything about it, why did he even care? Colors by Steve Oliff, Letters by Chris Eliopoulos. on page 18 we see X-O Manowar and Solar next to Thor in one panel. 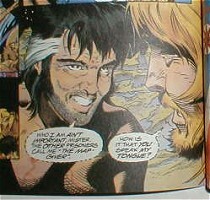 Wyrd announces his own guest appearance in Unity 2000 #4. That comic won't be made...so I guess we'll miss it. and as always...I appreciate your feedback!